By: George.Chatzigeorgiou March 14, 2019 0 Comment. 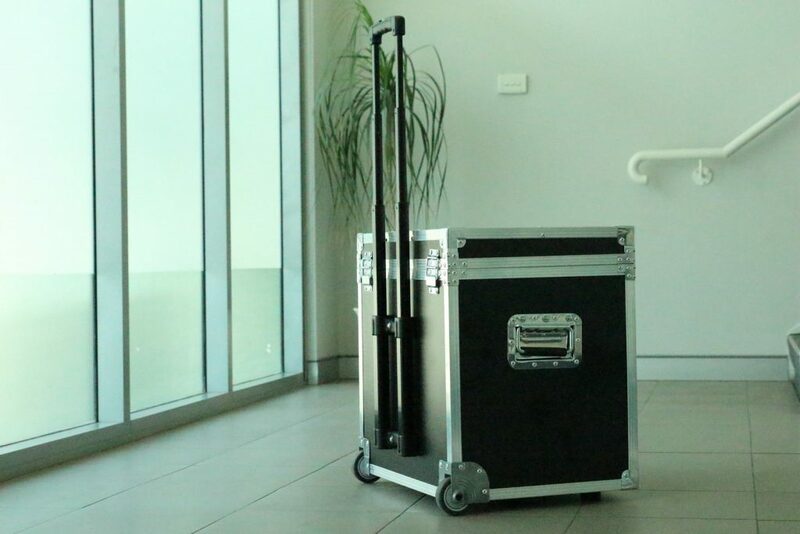 This flight case is for CELLAVISION, in Sydney, for their DC-1 unit. 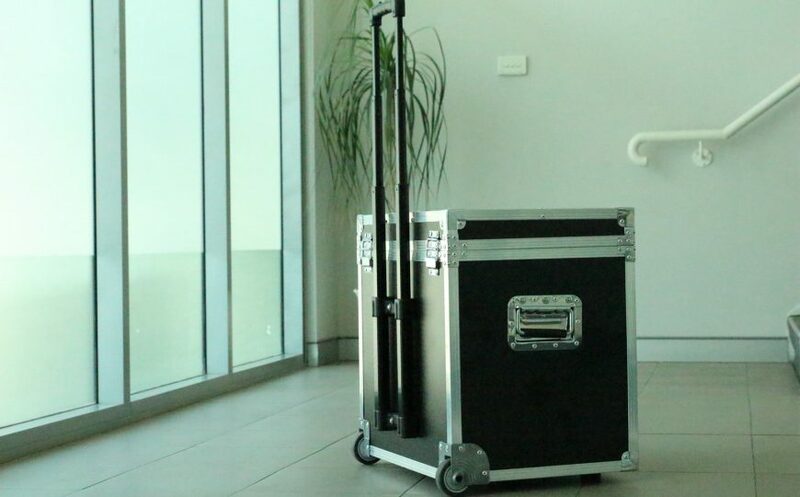 It is a robust, yet lightweight, case made of 6mm thick plywood with black PVC finish and aluminium extrusion, specifically built so that the total weight, including equipment, doesn’t exceed the 23kg luggage check in limit. Recessed castors were also put on the case for effortless mobility. 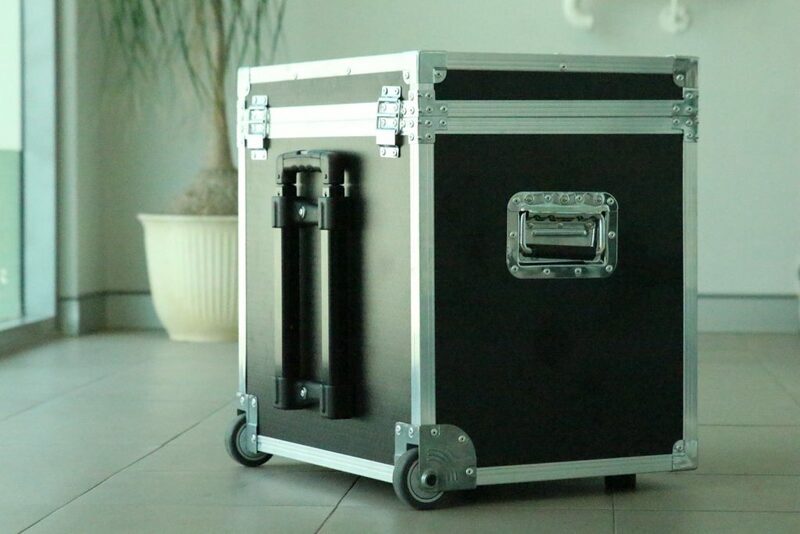 We, also, added a pull-out handle, constructed by Penn-Elcom, for easy movement and usage. The machine is easily accessible by opening the hinged lid on the top.